August Strindberg's 1888 naturalistic tragedy is one of the first major exercises in naturalism and the naturalist character. Set on a midsummer night in 1874, Strindberg peels the skin off class, love and lust in this explosive battle of the sexes. No new adaptations here but a direct translation of the original by Strindberg conduit Michael Meyer. This translation was first performed by the National Theatre Company England in 1965 with Maggie Smith and Albert Finney in the cast. "Life is not so foolishly and mathematically arranged that the great always devour the small. It happens equally often that a bee kills a lion, or at any rate drives it mad." Miss Julie runs 90 minutes with no interval. 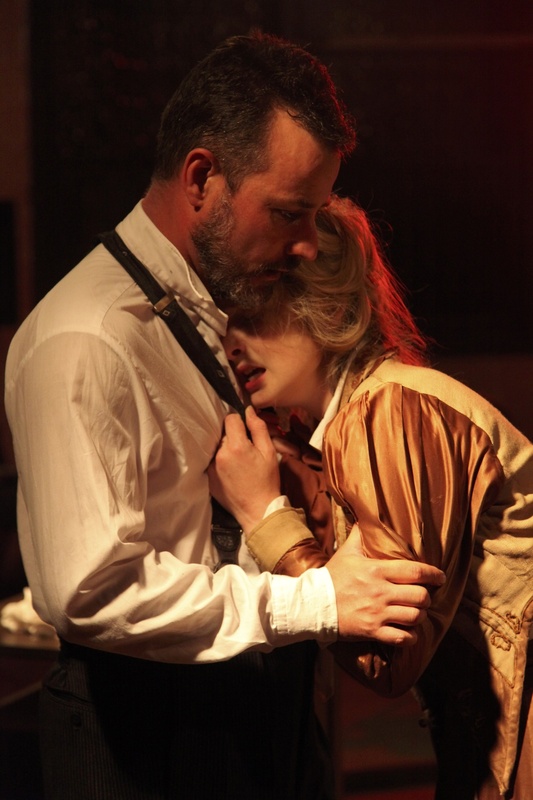 "Our rehearsals began with a read of Miss Julie on June 12, 2012. Here we are some 8 months later and still weeks away from opening night. That's a very long rehearsal period! We've taken a part-time approach to creating our Miss Julie. Meeting Tuesday or Thursday nights in a church hall we've been able to commit to this extraordinary play as well as the other areas of our lives. The combination of this approach and finding our own intimate venue has enabled us to choose whatever play we wanted and to put it on as we see fit. Miss Julie is a masterpiece. We know we're doing it justice. Do come and see." This is Creative State's first co-production with Acompany Theatre and the launch of Creative State's independent theatre productions. Read Kevin Jackson's review in his Theatre Diary.